Place cookie sheet on middle oven rack in oven to preheat; heat oven to 375°F. 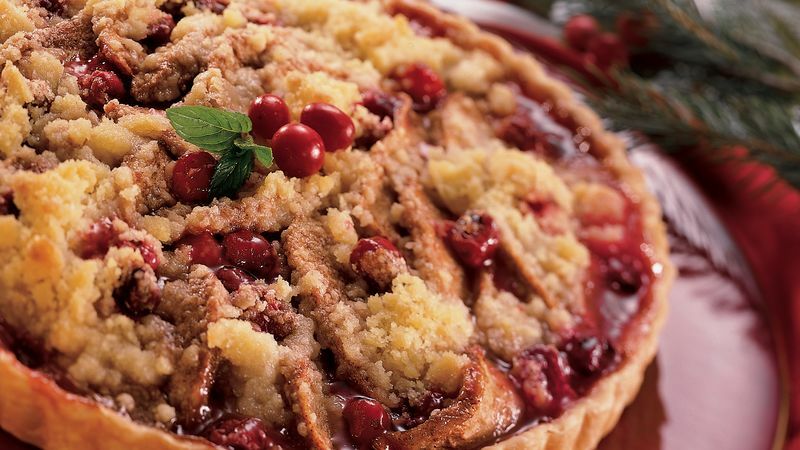 Place pie crust in 9-inch tart pan with removable bottom as directed on box for One-Crust Filled Pie. Trim edge if necessary. In large bowl, mix 1/2 cup sugar, the cornstarch and cinnamon. Gently stir in pears and cranberries. Spoon into crust-lined pan. In small bowl, mix topping ingredients with fork until well blended. Sprinkle over filling. Place tart on preheated cookie sheet in oven; bake 45 to 55 minutes or until crust is deep golden brown and pears are tender. Serve warm or cool.